I tried to be somewhat fashionable (I wasn’t like runway model or anything) while I was away in Ireland and London for 10 days without overpacking. My suitcase weighed in at 35 lbs. when we left which meant I had plenty of room for – shopping! 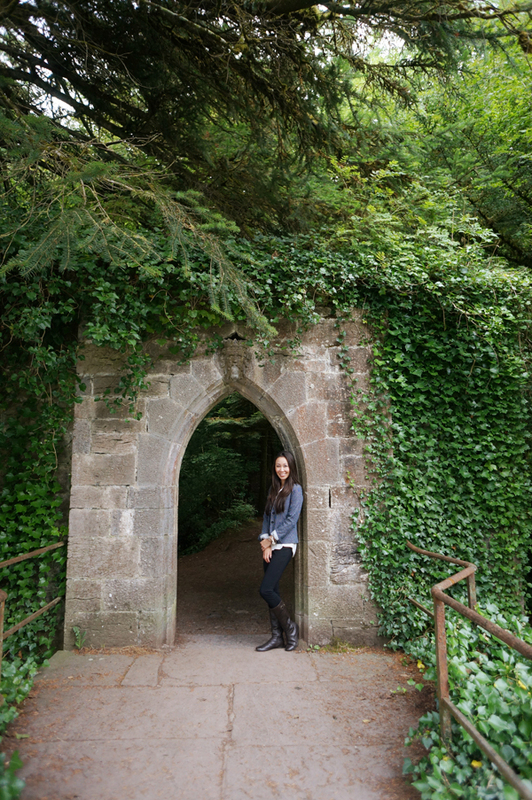 My staple were leggings since I knew I’d be wearing boots a majority of the time I was in Ireland – wearing them everyday! I packed just enough for each day and knew that if I needed to, I could always buy it. Here are a few of my outfits during the trip, the scarves really came in handy for many reasons! Let’s start with Ireland. These images are all taken by my Sony NEX-5R (c/o), 50mm f1/.8, 16mm f/2.8 + 18-55mm (c/o) all so lightweight and the perfect equipment to travel with. 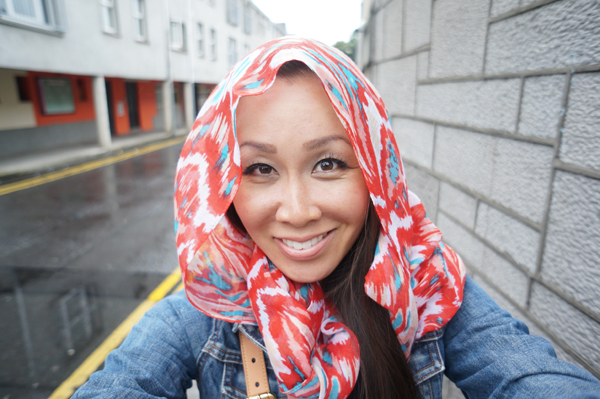 When it rained sporadically in Ireland I just pulled the back of my scarf over my head. Denim jacket, black riding pants, and polka dot schoolboy blazer by J.Crew. Boots by Lassen Speranza. If you have a thicker scarf, you can also tie it around your bag until it gets chilly and you can wrap it around you at night to keep warm. 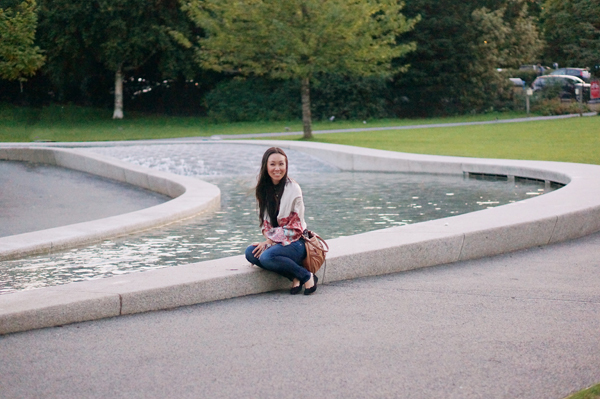 Here I am in London by the Princess Diana Memorial Fountain in Hyde Park. Last time I went the fountain was drained and being power-washed which was beyond disappointing. I was glad to have had a few minutes to snap a quick photo before it closed. London was all sunshine and beautiful weather – the low 70s. 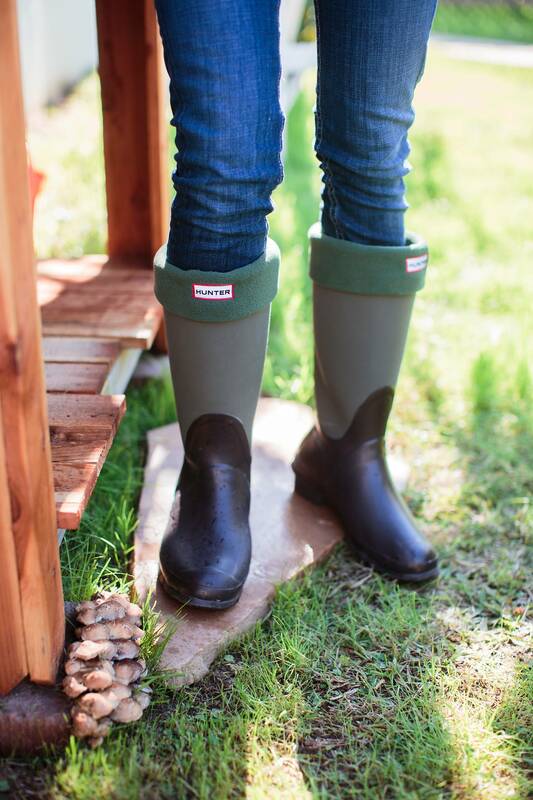 It was absolutely perfect so I traded my boots for flats and enjoyed the perfect days! This is Melayne and I in front of Tower Bridge which is often mistaken for London Bridge (that bridge in fact very underwhelming, I’ll show you in a later post). Don’t you love this golden light? Top from H&M clearance rack, bag by Cole Haan with Louis Vuitton luggage strap. I only travel with a bag that zips and can hold enough like my Sony NEX-5R and 3 lenses). I adore Westminster Abbey so much. I think it’s one of the loveliest places in London. We grabbed a hot dog and ate on the lawn and I stopped and said, “Do you realize we’re eating lunch on the lawn of Westminster Abbey? !” It’s where Queen Elizabeth was correlated 60 years ago and of course where Kate and William were married. Top from Anthropologie, scalloped flats from Piperlime. Sunnies by Tom Ford. 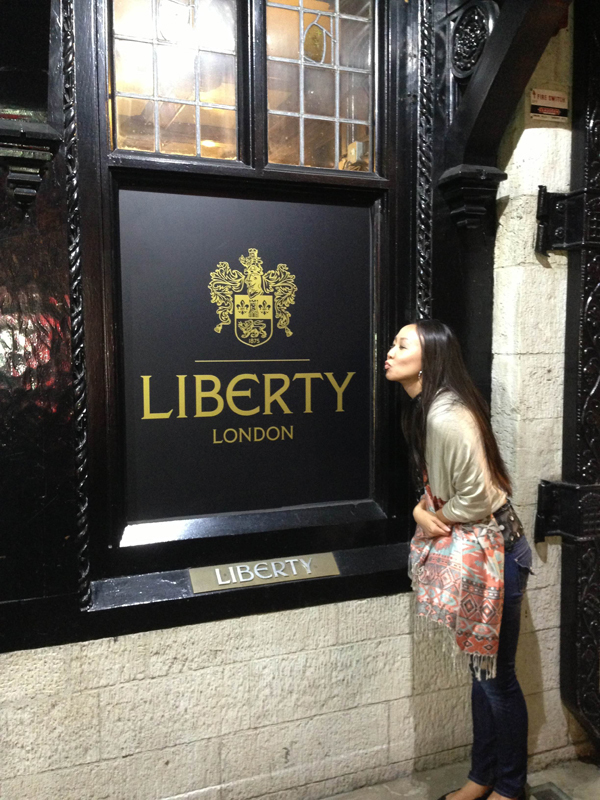 I loved shopping in London, Dorothy Perkins, Top Shop and Liberty London were my favorite places to stop in. 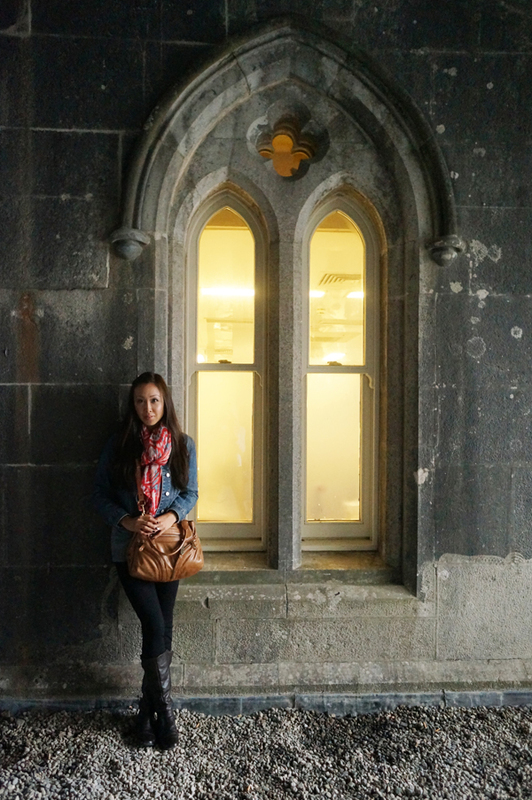 In Ireland we stopped into a few fun stores like Penneys/Primark and Pull and Bear. All these stores are available to purchase from the web and have US sites. Diana Elizabeth says always leave room in your suitcase for shopping – even when you think you won’t, you will. Hi Mel! Oh so funny!! B just said that to me the other night and I was like, I dunno… I’ll have to tell him he was right! So crazy! Hi Callan! Now I know why you need those socks! :) When are you going to London? Next Wednesday it’s all about London, I’d be happy to give you any tips but I’m sure you have it all handled. So much to see! Enjoy!!! !